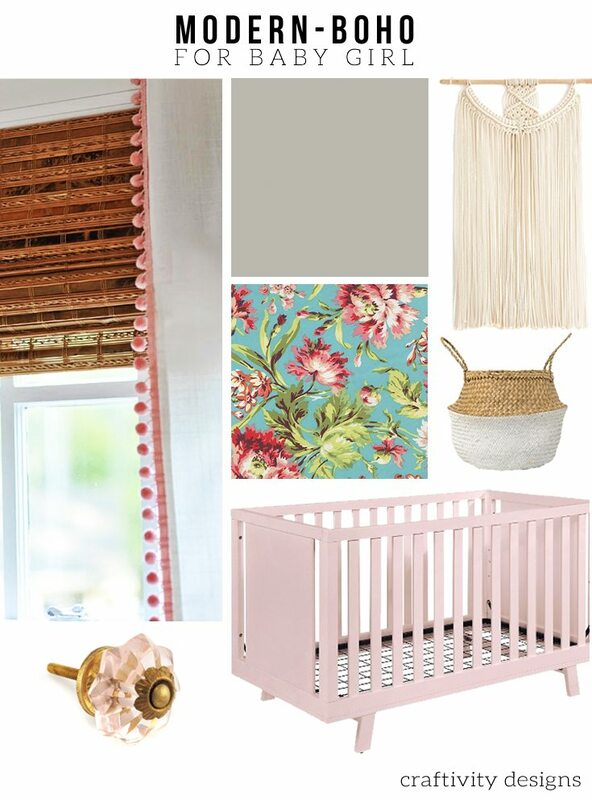 This Modern Boho Nursery with sweet, handcrafted details and a bohemian color palette is nearly complete. Take a sneak peek before the final reveal, next week! I’m bringing you a quick update for Week 5 of One Room Challenge (ORC). The room is nearly complete! I’m planning to take photos this weekend and finish up several remaining small projects. I have snapped several “Sneak Peek” images, to give you a glimpse of what will be in next week’s Modern Bohemian Nursery Reveal. 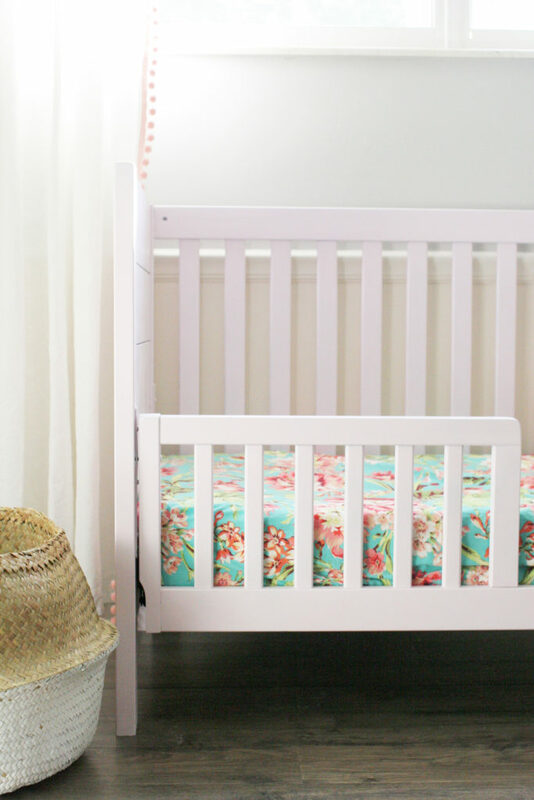 These are a few of my favorite details in her modern boho nursery… let’s take a look! 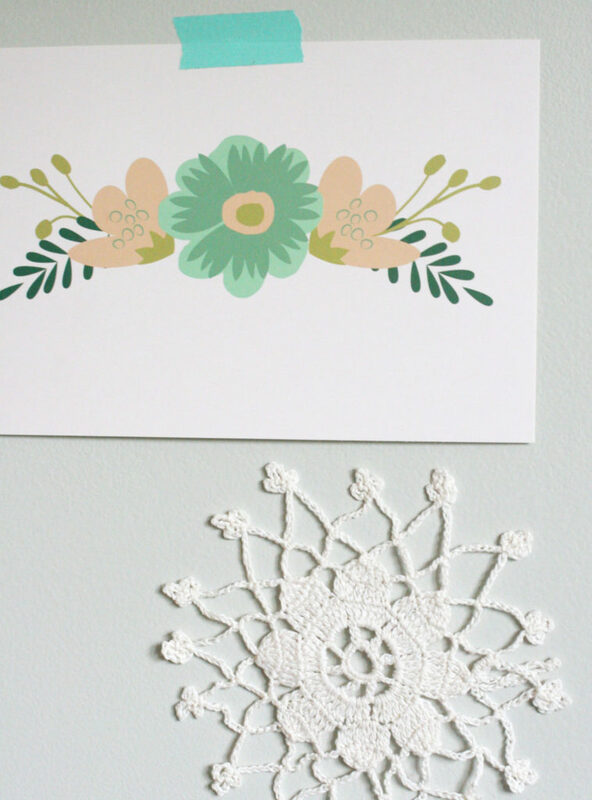 Hang handmade doilies on the wall. 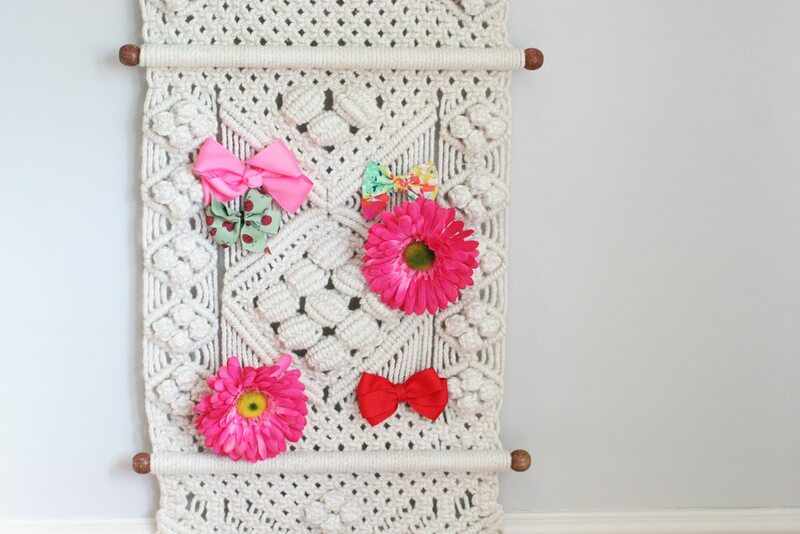 Use a vintage macrame wall hanging to store (and display!) pretty hair bows. 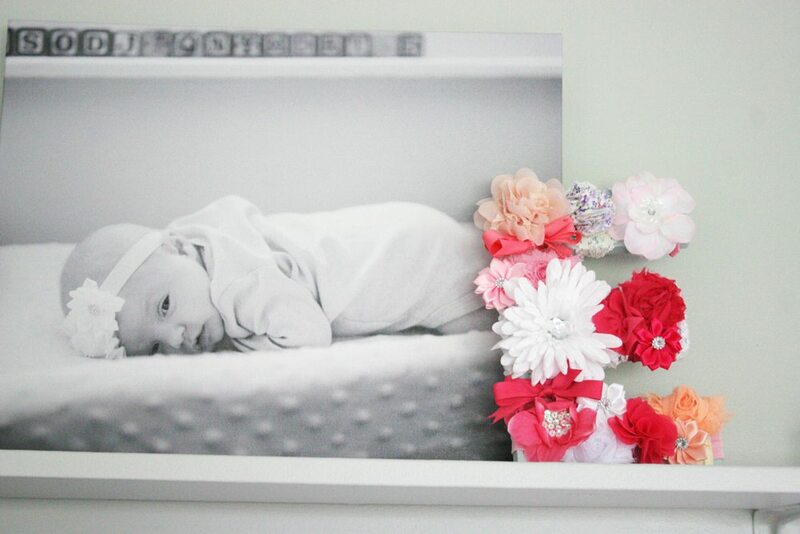 Paint a modern crib in a soft, bohemian pink paint color. Create an easy DIY floral monogram with the baby’s initial. 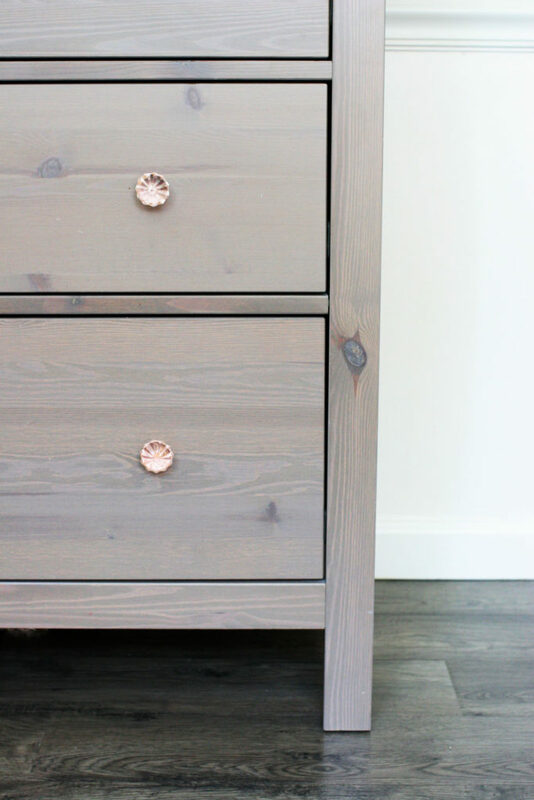 Add a little glitz with glass drawer pulls. 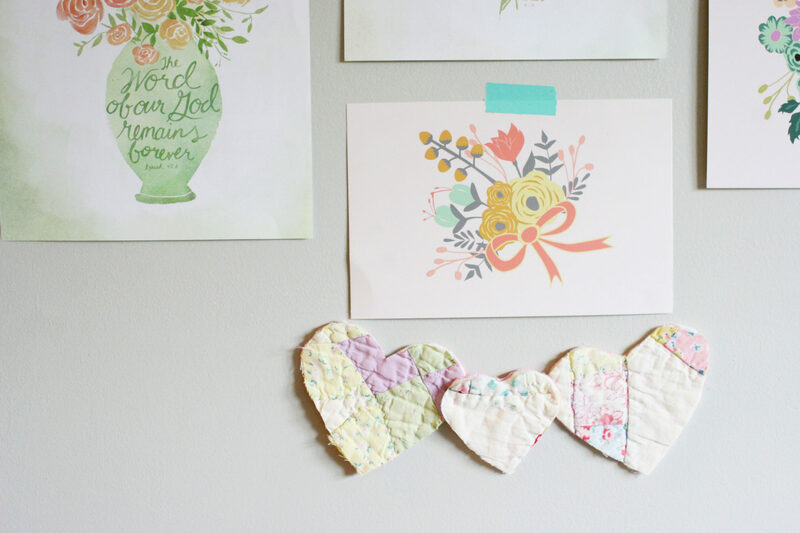 Aren’t these small glimpses a great reflection of the mood board? I’m pleased with how well the room reflects the design. Don’t forget to check out the other One Room Challenge Guest Participants. looking great! excited to see the finished room! Thanks 🙂 I love those little hearts!